Happy Election Day. 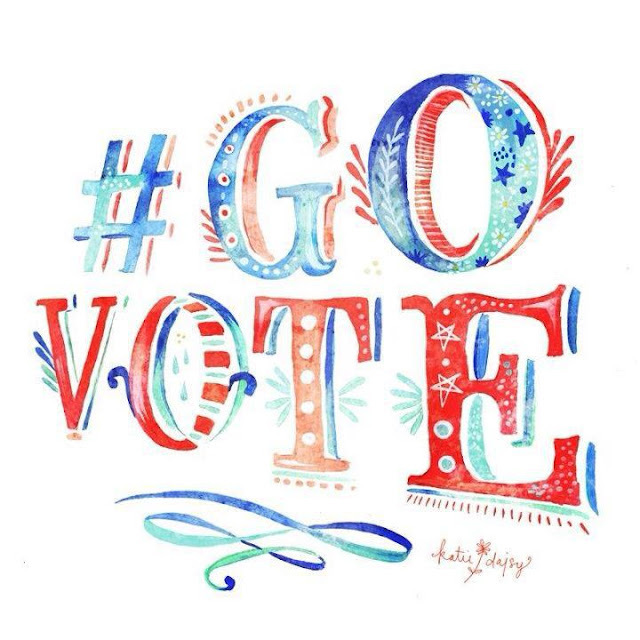 Did you get out and vote today? I did this morning and the lines really weren't too bad at all. Who did I vote for? Hmmmmm, I think I will keep that to myself. However, I did want to answer a few other questions I am frequently asked these days. Q: "How are you feeling?" A: Actually, I'm feeling pretty good for the most part. I still don't have my stamina back in full, but I'm getting there. I walk at least 5 days/week and that certainly helps with feeling good both mentally and physically. I've also noticed that I have more clarity with my thinking lately-I'm slowly coming out of my chemo coma; three cheers for that! My neck is a bit stiff and my skin continues to heal from radiation, but other than that I am doing well. Q: "Why do you go to physical therapy?" A: I have been going to physical therapy for about 9 months now due to some lymphedema issues I have had since my surgery. You see when you have lymph nodes under your arm removed, there is the chance of having trouble with drainage and swelling in your arm. I'm in that percentile where I have some issues...small issues that are slowly getting better. The infection I had during chemo set me back a bit, but things are almost back to where they were before...I'm so very grateful for that. Q: "Are you going to do reconstruction?" A: Well, I can't even consider reconstruction for at least 6 months because my skin has to heal. I will definitely be scheduling some appointments to speak with the doctors and see what my options are and I will make a decision from there. For now I'm enjoying the "freedom" from daily appointments.